NewVoiceMedia, a leading global provider of cloud technology which helps businesses sell more, serve better and grow faster, has strengthened its executive team with the appointment of Moni Manor as Chief Product Officer. 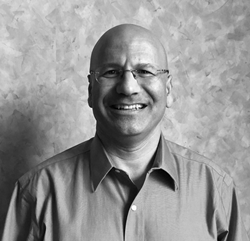 Based in San Francisco, Moni will lead the product strategy, product marketing and management functions at NewVoiceMedia. He brings over 20 years’ industry experience to the business, joining from Five9, where he held the role of Chief Technology Officer, and previously the role of EVP Products. Prior to that, he served at Avaya for five years where he was responsible for product development, managing the UC, collaboration and media applications team, and beforehand the Nortel Enterprise software, a globally-distributed team of over 2,500 people. Moni’s appointment is the latest milestone in NewVoiceMedia’s global expansion plans. Recently recognised as one of the world’s top cloud computing companies by Penton’s Talkin’ Cloud 100 report, the company now serves more than 500 customers spanning 128 countries. Its cloud customer contact platform is revolutionising the way they connect with their customers worldwide, enabling them to deliver a personalised and unique customer service experience and drive a more effective sales team. In his new role, Moni will report to CEO Jonathan Gale, who commented, “I am delighted to welcome Moni to NewVoiceMedia. He is a vastly experienced executive with an amazing track record in driving innovation for industry leaders. His deep sector knowledge and unique blend of skills in the worlds of SaaS, CRM, unified communication and contact centres, means he is the ideal candidate to take responsibility for our product strategy, product marketing and management functions. Moni will be an incredibly valuable asset to the team as we focus on developing our true cloud communications platform and accelerating our international growth”. Moni added, “NewVoiceMedia is a pioneer for using cloud technology to revolutionise how businesses connect with their customers and with their rapid growth and total commitment to agile development in a multi-tenant environment representing the future of cloud contact centre technology. I was drawn to the speed and dynamism of the organisation, the strength of its underlying technology and incredible team of investors including Salesforce; three key factors which have under-pinned NewVoiceMedia’s highly successful and extremely rapid expansion both in the US and other international markets. I’m excited about leading the charge for NewVoiceMedia as we deliver more and more innovative solutions that will help our customers extract the maximum possible value from their customer data within their sales and service teams”.